1 308,00 € tax incl. 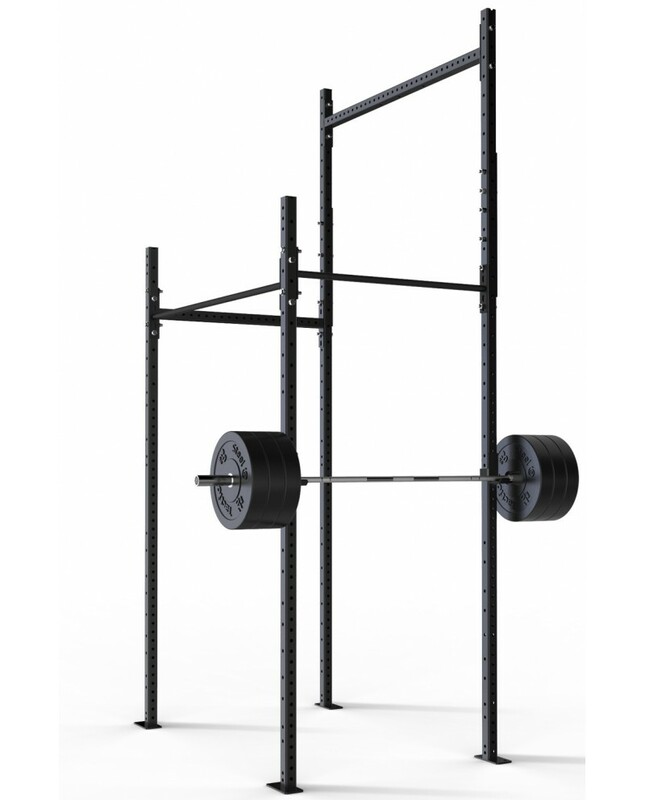 The Raptor is especialy designed for the high requirements of functional training. It has a maximum height of 3,9m making it ideal for ring muscle-up and climbing rope. Its structure is strenghtened by two crossmebers ensuring maximum stability during your training. The Rack also has two pull-ups bar for gymnastic exercices. As with all our Racks, it comes with a pair of olympic bar support. Customize your T-rex M60 exactly the way you need it thanks to our large selection of accessoires Add another ring/rope climb station using beam. Attache an adjustable pull-up bar on the crossmember. You can easily bolt one or two wall ball-target on your Rack or add some storage accessories for your bumpers and barbells. The possibilities are endless ! Merci pour l’installation de mon rack sur mesure à la maison ! Quel plaisir de woder tous les jours avec du bon matériel et en plus made in france !